Thousands of new product packages hit the shelves in the past year, but out of all those bottles, pouches and boxes, only a select few have been deemed worthy of the 2012 AmeriStar awards. Produced by the Institute of Packaging Professionals (IoPP), headquartered in Naperville IL, the AmeriStar awards program considers submissions by consumer packaged goods firms and their packaging partners from all over North America. For this year’s competition, more than 150 packages were submitted. Judges then gathered at IoPP headquarters to evaluate and analyze packages in 18 different professional categories; student entries also were poured over. After gauging the entries based on innovation, sustainability, protection, economics, performance, and marketing, judges had the unenviable task of selecting the best of the best. Top AmeriStar winners included the Best of Show Award, the 3M Sustainability Award (sponsored by 3M) and (in a category new for 2012) the Design Award for excellence in structural and graphic design. Seventh Generation – a company that Pratt Industries is proud to call a sustainable partner. In March, Seventh Generation distributed a new liquid laundry detergent bottle made from 100 percent recycled fiber (OCC and newspaper). A fully-recyclable and compostable outer shell made from 70 percent recycled corrugated fibers plus 30 percent newspaper fibers. A recyclable lightweight plastic pouch is inside. 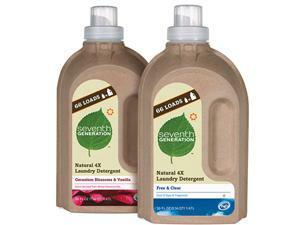 The new bottle uses 66 percent less plastic than a typical 100 ounce 2X detergent bottle, the company reports. Congratulations on being a Sustainability leader, Seventh Generation – and on receiving the 3M Sustainability Ameristar Award.